Online Course by Tribune Education Foundation. Comments Off on Online Course by Tribune Education Foundation. Every moment we are creating our experience. Our thoughts, our words, our actions are all instances of our ability. Your life is a masterpiece, a beautiful work in progress that you are constantly refining and evolving as you learn new lessons and techniques for bringing forth your greatest potential and as you use your imagination to set your sights on what is possible. In life and in art, we must be willing to take risks to expand and grow. In life and in art, we have the opportunity to be authentic. Objective defined by the clear difference between Education and Learning. Education is the process of imparting knowledge, values, skills and attitudes, which can be beneficial to an individual. On the contrary, learning is the process of adopting knowledge, values and skills. Education is something that an individual gets from an outside source. On the other hand, learning is something that evolves in the inner self. Education is something that one gets from a school or university; education is related to classroom learning, and some other set standards. On the contrary, learning evolves at the personal level, for which there are no set standards. A tutor imparts education, whereas an individual learns from his surroundings. • It should be reflected rather than prescribed. Registration date- 25th march 2018 -to-5th april. 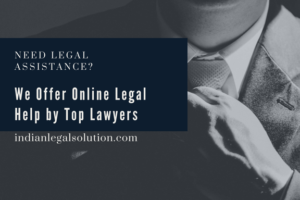 Legum locus, Indian legal solution,legal bite ,legal desire etc. Intern profile : bloggers, reserach writer and content writer. Call us at 7060471922, 7011920998 and 7060324486. Or whtsaap us at 8989713322, 7011920998 and 7703092385.